The purchase and installation of the Phill home refueling unit was a bit more than I had anticipated. By the time I purchased the unit for interior use and had the unit installed by a certified installer, it was about $6,000 for the home refueling unit. $2,000 comes right off the top as a tax credit, so net cost was $4,000. Since I don't have a convenient CNG fuel station near me, this was my only option. Refueling has been going fine. The unit makes a bit of noise when it's running, but because it's in the far side of my garage, I can't hear it from inside the house. If I run the tank on my car down to empty, it takes nearly 16 hours to refuel. I've taken to plugging it in when the tank is between 1/4 and 1/2 and it fills up overnight. It's pretty cool coming out to your garage in the morning and discovering a full tank of gas in the car. So, what about fuel cost? 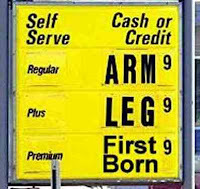 I thought it was going to work out to about $1.00/gallon, but it turns out I was off a bit. I applied for the poorly named Electric Vehicle Charging Rate (E-9) with PG&E. It turns out you are eligible for this rate if you use a home refueling unit with a CNG refueling unit. See here for more info. I also applied for the G1-NGV natural gas rate which brings down the rate I pay for natural gas. For the purposes of this gas calculation, I'm going to ignore the fact that these rates will actually save me money on other gas & electric I use in my house. We'll just call that a bonus. Under my new rate tiers, I now pay $0.91 per therm, which is the equivalent of $1.13/gge for gasoline gallon equivalent. 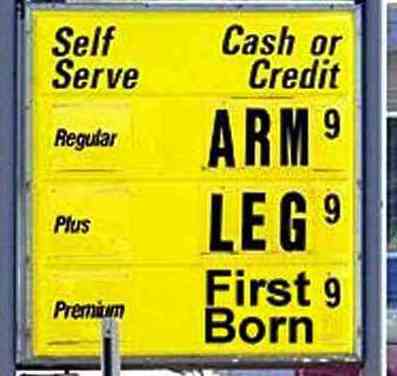 A gge is the same amount of energy of a gallon of gasoline, and I'm getting about 32 mpg. So, I'm paying $1.13 for the gas, but I also have to run the compressor to compress the gas up to 3600 psi, the maximum pressure of a full tank of gas. It takes about 16 hours to deliver 6 gge's, or about 2.5 hours per gge. I'll spare you the math, but that's another $0.25 ~ $0.50 to compress the gas into the car, depending on what time of day I fill the tank. Most of my filling is done overnight, so I'll be paying PG&E's lowest rate of $0.25/gge, for a grand total of $1.38/gallon! Compared to the $4.00+ I'm seeing at the corner gas station, this is a pretty good deal. Add to that the white carpool stickers and cleaner burning fuel that relies less on foreign production, and I'd have to say I'm happy with my decision. I just recently turned in my 2008 BMW 535i which I was leasing. It was a fun car to drive when it wasn't having high-pressure fuel pump problems (I'll save that story for another post). When I got the car, I went for the twin-turbo 6-cylinder because it got much better gas mileage than the prior 8-cylinder car I had been driving (real world for me was 23 vs. 17 mpg). As the end of my lease was nearing, I started thinking about what I could do to get even better mileage and whether I could get into the carpool lane too. 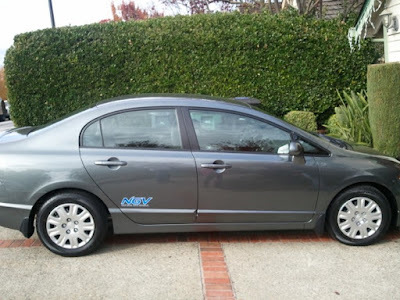 Several years ago, the state of California issued a limited number (85,000) yellow carpool stickers to consumers who purchased hybrid vehicles that got 45 mpg highway or better. These stickers have been set to expire 3 times, and the final date now appears to be June 30th, 2011. Since the last of them was issued long ago, the only way to get them is to purchase a used hybrid. I was looking for something new that could handle the 18,000 miles a year I commute. This led me to a few options. There is another type of carpool sticker (white) which is available for cars which do not use gasoline at all. These stickers are available in unlimited quantities and do not expire until 2015. In the mass market, these stickers are limited to all-electric cars and dedicated (vs bi-fuel) clean burning CNG (compressed natural gas) or LPG (liquid propane gas) vehicles. Hydrogen fuel cell vehicles would qualify too, but they are available in very limited numbers in just a few test markets. It doesn't seem like they'll be mass market until 2015 or so. You can see a full list of CA certified vehicles here. Then, there's the issue of charging/refueling. With a full electric vehicle like the Tesla Roadster or the upcoming Nissan Leaf, you need to make sure you have access to a charging station. With a range of around 100 miles (or less), I could just barely make it to work and back. And, my employer doesn't have charging stations at work yet. Plus, unless you want to wait 12+ hours to charge, you need to purchase a home charging station for your garage and wire it up with a high amperage 220v circuit. That's about $2,500 for the charging unit and installation. For CNG vehicles (like the Honda Civic GX - the only mass produced CNG vehicle available in the US), you have access to a larger number of refueling stations that can refuel your tank in about the time it takes to fill the gas tank in a regular car. If you stick to the west coast, you could easily plan a long road trip by accessing a site like this to plot out refueling stations. Not ideal, but with a range of about 200-250 miles per tank, doable. Besides finding a refueling station, you can also purchase a home refueling unit. 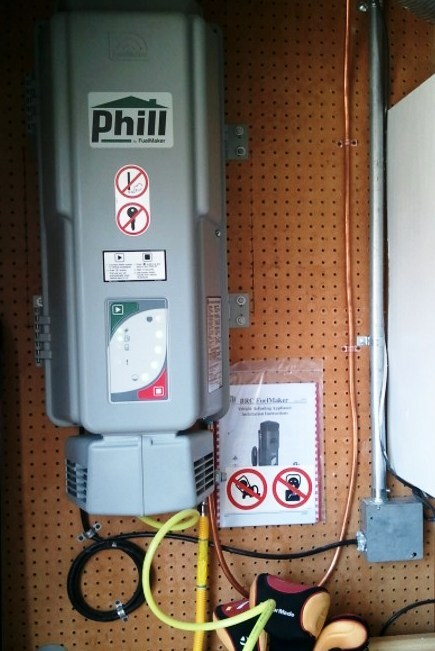 The only viable consumer unit is the Phill by Fuelmaker. Purchasing and installing one of these in your garage will run you closer to $5,000. 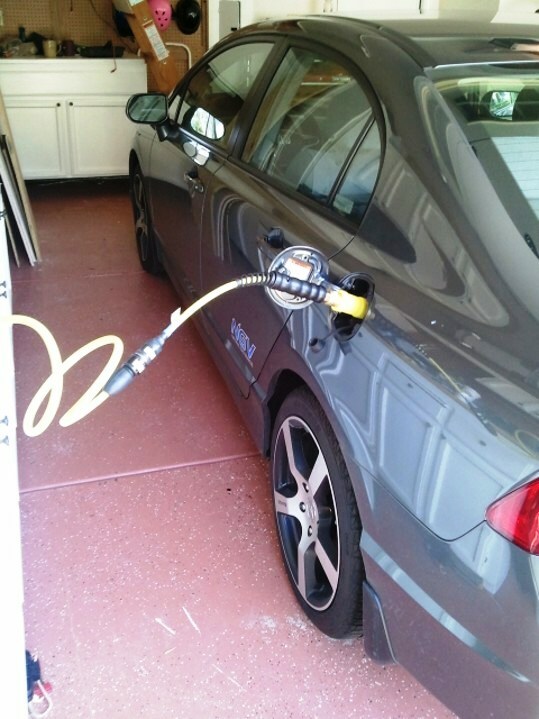 The electric charging station qualifies you for a tax credit of 50% of the units cost up to $2,000. The CNG unit qualifies for a $2,000 tax credit as well. I also compared the cost of recharging an electric car vs. refueling a CNG vehicle. In both cases you qualify for a discounted rate tier with PG&E (if they are your utility) and it works out to about $1.00/gallon of gas equivalent. I won't go into what a gge is - click here if you want to learn more. In the end, I decided to go with the Honda Civic GX. The Nissan Leaf looks interesting, but it's only available in limited numbers, has a long backlog of orders and I can't charge at work. Plus, I don't particularly care for the styling. I don't really love the look of the Civic either, but Honda has been making the Civic GX for 13 years now, and it seems to be solid and reliable. It's really just a regular gas engine vehicle with a modified fuel tank and fuel delivery system to allow it to burn CNG. One benefit (besides the carpool stickers and cheaper gas) is that CNG burns much more cleanly than gasoline (source), and 90% of the natural gas we use in the US is produced domestically vs. imported (source). I've talked to a few people about this so far, and the question I keep getting is about safety. How safe is it driving around on a tank full of high pressure gas? I looked into this a bit, and found many sources claiming that CNG is actually safer than gasoline. I also ordered the home fueling unit, but haven't installed it yet. I just picked up the car this weekend, so I'll have to post more about my ownership experience later. You don’t need to look very far to see how radically technology has changed the way we do things. Take the area of personal digital entertainment. Just think about how advancements in hardware, software and cloud-based services have drastically changed the way we experience music, take pictures and capture video, connect with family and friends, play video games and more recently watch movies, TV shows and videos. My eight year old wanted a Zune HD for Christmas, and my six year old can whip me at Mario Kart. The past few years we have seen widespread availability of mainstream television programming online, content previously only available via traditional broadcast distribution. Consumers now have an enormous choice of live, recorded and on-demand TV shows and movies. The DVR was the first major milestone in putting consumers in control of their TV viewing experiences. We’re now entering a second major change that may have a greater impact on consumer TV viewing than the DVR, and not just for the geeks out there (hey, some of my best friends are geeks). TV will be everywhere and anywhere you want it to be - inside or outside the home, time-shifted, location-shifted or simply viewed from any room in the house via a PC, set-top box, connected TV or gaming console. Going forward, consumers will be able to enjoy TV experiences that combine traditional TV content with rich entertainment experiences, drawing on content sources from a variety of places including the Internet. Examples could include outtakes, social commentary, behind-the-scenes interviews and much more. Software and cloud services will be the key to unifying and creating these new, more personalized, integrated experiences for the viewer even as the number of hardware devices proliferates. Bringing this vision to life is the mission of the Microsoft’s Mediaroom team. With Mediaroom 2.0 consumers can view live HDTV programming on their PC’s using just their Windows Media Center software - they can watch or record up to four programs at once. Consumers want to be able to watch whatever they want, whenever they want, and wherever they want. The challenge of storing and accessing vast sources of content in the ‘cloud’ is something the Microsoft team is focused on solving and we’ve made some good progress (there’s always more work to do!). Our Mediaroom IPTV platform has become the world’s leading IPTV solution, enabling more than 4 million households around the world to access TV content in innovative ways, through operators such as AT&T, British Telecom, Deutsche Telekom, SingTel and others. The release of Microsoft Mediaroom 2.0 that Steve Ballmer announced at CES tonight, will make it easier for consumers to find and discover great content; to watch, listen and engage with TV in new ways; and to do so anywhere and on all the screens of their lives. And, Mediaroom 2.0 will enable pay TV operators to deploy the Mediaroom platform as a single entertainment cloud, extending their premium TV services to reach more subscribers than ever before, across more screens, with more content and more control, anywhere, anytime (even in the bathroom - is there no escape?). And our operator customers can provide all of these consumer benefits without needing to deploy parallel content delivery systems. Once fully deployed by our operator customers, Mediaroom 2.0 will allow consumers to view live HDTV programming on their PC’s using just their Windows Media Center software - which also provides the ability to watch or record up to four programs at once-. Movies and TV shows recorded on a home DVR will be available anywhere, inside or outside the home. On-demand programming, previously requiring a set-top box, will be available anytime and anywhere as well. Mobile phones won’t be left behind either. Since consumers will be accessing a centralized content system, a pay-per-view movie could be viewed via any connected device, even a smartphone. A TV revolution is underway, where TV experiences are more personal than ever before. We’re excited to be a part of delivering these new capabilities. Mediaroom will enable operators to deliver – and viewers to enjoy -- a seamless television experience with centralized content, DVR anywhere, on-demand features and interactive applications that can flow from screen to screen on any device. The TV of the future starts today. I've been meaning to do this for a while. I finally paired my bluetooth headset with my laptop (a Dell XPS M1530). 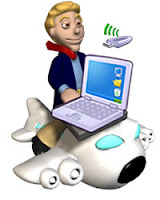 My goal was to be able to make voip phone calls via my laptop to save some money on my cell phone bills - I cut the cord a couple of years ago and don't have a landline at home. So, I paired my headset (Motorola H670) with my laptop which is running Windows7 Enterprise. The headset was discovered and paired properly, but the driver failed to load. After extensive Bing searches, I discovered the following work-around which worked great for me. Open the control panel Start->Devices & Printers. My headset showed up with a yellow exlaimation point showing that the driver had not installed automatically. Download the self-extracting zip file from here. Don't worry that it's from a Dell site. You're going to unzip these drivers and manually use them for your headset. It has nothing to do with what type of laptop you're using. Unzip the folder in the file you just downloaded and cancel out of an installer if it tries to run an installer. Go back to the Devices panel and right-click on the headset again. This time, right click on the headset, choose Properties and the Hardware tab. At the bottom, click the Properties button. This pops up yet another panel where you want to be on the General tab. Click the Change Settings button and Install/Update the driver. Instead of letting Windows Update search for a driver, browse to the location where you unzipped the drivers above and they should install automatically. Once you've done this, your headset should show up as an audio device. You might need to reboot for the driver to load properly and the yellow exclaimation point to go away. I also had to go into the settings in my voice application to tell it to use the newly attached headset instead of the built-in microphone and speakers. Well, I recently discoverd a problem I was not able to solve using Google. So, I'm typing it up in the hopes it will be indexed and might help someone else. Two months ago when I moved, I purchased a new Electrolux front-load gas dryer. The first time I used it, I ruined most of the first load of clothes. There was some kind of sticky black residue on the exhaust vent inside the dryer drum. Several plush items had stuck to the vent ripping the soft part of the fabric. I assumed that maybe there had been some sort of sticker over the vent, and that it had melted. Electrolux kindly sent a repair person out who replaced the vent - problem solved. Not. Shortly thereafter, the black residue returned. I then noticed that a pair of my sons fireproof pajamas had melted. So, I thought perhaps the melted fabric had gotten stuck to the vent. Nothing I tried (Goo Gone, etc.) would remove the residue, but when it got hot it was getting just sticky enough to keep ruining softer clothing items. I went down to Home Depot and purchased a hot air gun (I needed one anyway) and a heavy duty scraping knife. After about 30 minutes of heated labor, I got most of the residue off. When it came away, the dried bits were like hard, black plastic. Problem solved. Oops, not. Since that time, I've been drying clothes on a cooler temperature, and the clothes seem to be coming out okay. However, the black stuff seems to be slowly coming back. Luckily, using the cooler temperature has meant I'm not ruining clothes anymore. So, today I sat down with Google to see if I could solve my problem. Something else being melted (gum, crayons, candy, starburst, etc.)? Nope. Something in my gas line? Probably not, but not a lot of information available here other than anecdotal information that gas usually burns clean. And, my gas stove and gas furnace don't seem to be having any issues. Hmm, weird. While I was doing this online sleuthing, I was also doing some laundry. With kids, it seems like I'm always doing laundry. Anyway, I had just finished drying a load of towels and discovered the smoking gun - a half melted dryer sheet. So, for years I have used Kirkland brand (Costco) dryer sheets. I've never had a problem with them. Well, it turns out the new dryer is melting them. Not all of them, or I would have noticed that they're not in the laundry basket when I'm folding clothes. But, some of them are definitely melting. And, when they melt, they've been leaving a hard black plastic residude on the vent inside the drum. I was able to stream live television, chat, post to Facebook & Twitter, etc. While it was cool, I don't think I would pay that much to use this service. That's where things start to fall apart a bit here. In-flight telephones have been around for something like 20 years. And, in that period of time, I think I've made 2 urgent calls. Why? It's not that I don't use the telephone or appreciate being able to talk to people. But, just because I can do it from an airplane doesn't mean I'm going to pay $15/minute to do it. I certainly hope these people don't take a really great idea like this and price it such that only people with corporate credit cards can afford to use it. My limit? $5/hour. I've been playing around with building a (simple!) wine and cheese pairing application for Vino2Vino. I wanted it to be something easy and fast, with the main usage scenario being mobile. I've been dog fooding with it lately, using it in grocery stores and in restaurants that actually have a cheese menu. It's been working well enough that I thought I'd share it with some of my closest friends for testing. Point your mobile browser at http://m.vino2vino.com/pairings/ and give it a shot. I've also tried to embed it here (sorry about the formatting) so that you can try in in a regular web browser. I've read that people want more than just pairing advice, they also want a way to buy the wine or cheese that is recommended. So, I've linked to Wine.com and artisinalcheese.com so that you can get an idea of pricing and availability for actual wines and cheeses.